Yuca is long, tubular shaped root with a flaky, brown skin. The root itself does not have a lot of flavor, similar to a potato, but sweeter. It is an essential carbohydrate for many parts of the world, because of this, it has many names. 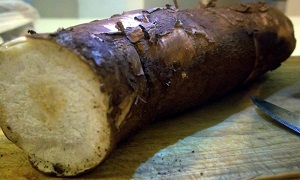 The most common being cassava, yucca, tapioca, or manioc. It can be found all over South America, Central America, Africa, and Asia. If you are used to cooking with potatoes, you will find the yuca root very familiar. It can be a substitute for potatoe in many recipes. It is an excelete source of Vitamin C and Manganese. 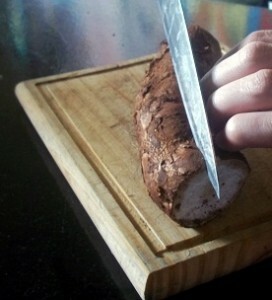 When selecting a yucca root make sure it is firm, no parts of the root should be shriveled or soft. I try to find roots which are uniform-sized and about 2-3 inches (5-8 cm) thick, and they should feel heavy. Once purchased, roots should be kept in a dark, dry, and cool place. The maximum time to keep a root is one week. 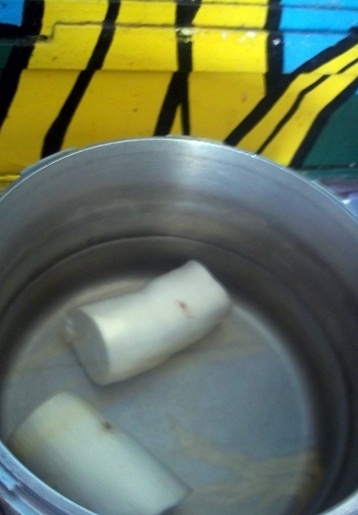 If you want to keep the root longer, then you should peel the root, and store in water in the refrigerator or freezer. 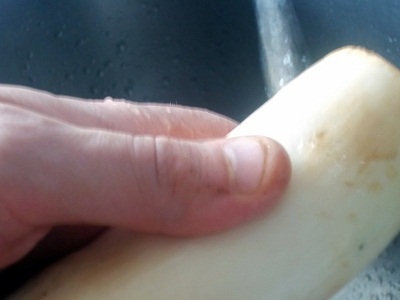 In many places you can buy the root with the skin removed, and in a jar or bag of water. Yuca has a brown, flaky exterior, and a thick skin that must be removed before cooking. The easiest way to remove the skin is to make a 1/8 in cut lengthwise down the root. 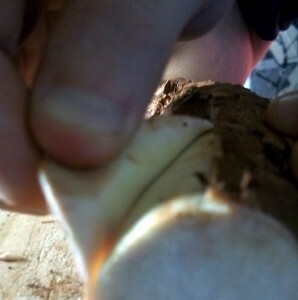 Then it is possible to peel the skin off of the root. Once all of the skin has been removed, you need to wash the root off. 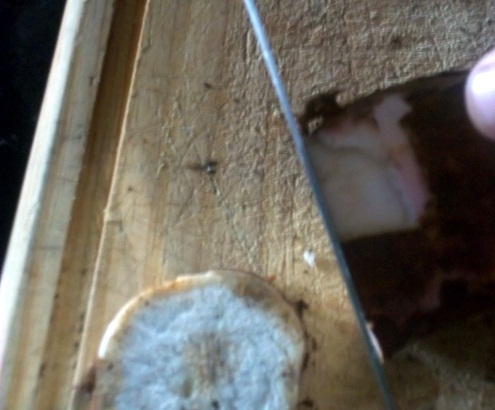 There is a large fiber that runs lengthwise through the middle of the yuca which can be removed. I find removing this is easiest after it has been cooked. 10-20 minutes depending on the thickness of the root and the tenderness desired at the end. Can be chopped up and placed with a litte water in a covered (loosely) container. Cook for 5-10 minutes depending on tenderness desired. Yuca should be boiled first, then fried in oil.